Grow in knowledge, faith and love of our Savior, Jesus, through fellowship, Bible study, service and fun. Our program is geared for youth in the sixth through twelfth grade. Thank you to all who made this event a great success! Hangout with your friends, Bible lesson, and games. Please see our calendar for dates and special events. We will not be holding Sunday School during the summer. We will resume in September. Cross Training will resume in September for grades 6-8 who wish to learn more about our faith and confirm their baptism. 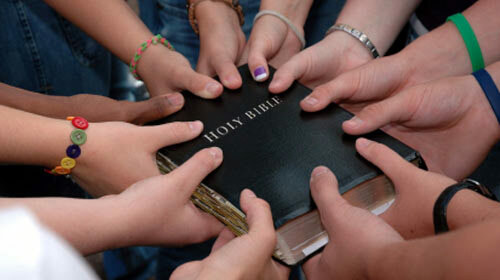 Word Warriors- Bible study Sunday mornings for youth grades 6-12 in the youth room. 9:30-10:30 am. The youth room is located in the basement next to the Tiger’s Den. Use the first set of stairs next to the church offices. Youth Nite- We meet on most Sunday nights from 6:30-8:30 pm. Grow in community with each other through games, discussions, music and Bible studies. In the youth room. A calendar of events, sign-up sheets and permission forms can all be found on our bulletin board next to the gym entrance.